Try to have clear understanding of the campaign objectives & discuss expectations with a representative from Letterbox Direct. Design a piece that works specifically in the Direct Marketing Arena and that creates IMPACT. 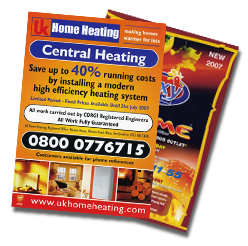 consider different paginations think about the physical presence of your leaflet how will it standout?